Starting down the road to converting a short wing piper. Have been researching other sites more specific to this type of specialty. However, thought I would toss the idea out on this forum. If you have actual experience, or know of good links to sources with credible information (not opinions), please advise! (not on 126.7!! ). PM if confidentiality is required. Thanks! Are you a member of shortwingpipers.org? They have plans and lots of information on the conversion..
Also, not sure where you are in Canada but bbiaviation does conversions as well.. I fly a Bushmaster conversion that I completed many years ago. Great airplane! I think you will find that the rules regarding conversion of an existing, certified airframe have become much more restrictive. If you want to register the airplane as an amateur built you will want to connect with the RAA to find out if your project will qualify. Yes. A member of both shortwingpipers.org, and supercub.org. Both sites have many members with years of experience. Definitely a gold mine for info. 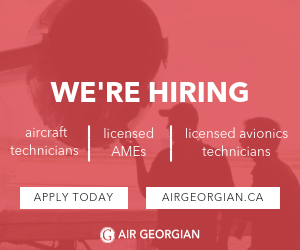 In Canada it is not just as simple as registering a certified airframe as an amateur built. You will need to prove to the MD-RA http://www.md-ra.com/en/ that you built 51% of the airplane. If you are building a homebuilt or plan to rebuild using certified airframe parts get in touch with MD-RA and register the project before you get too far along. Failing to do so may cost a lot more money and you may have to redo some of the build to register as an amateur built.